What a fun night of meeting up with old friends and meeting new faces at the last #SFPortraitMeet! 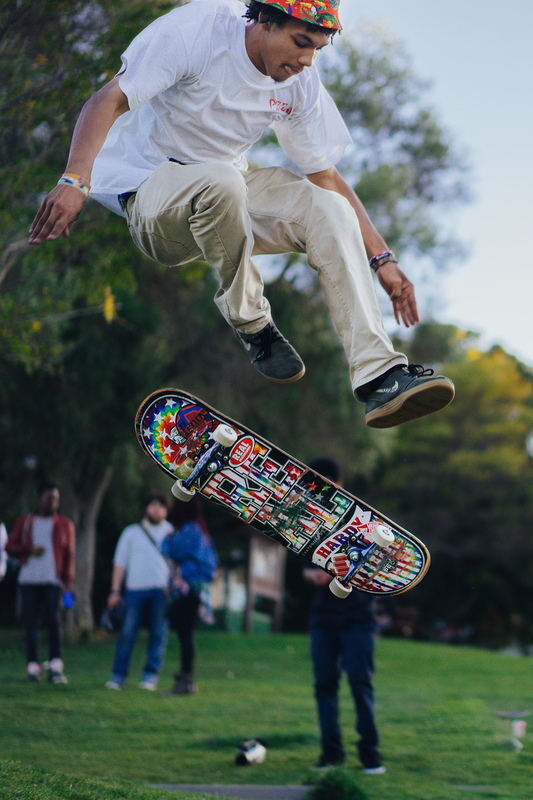 We gathered at Dolores Park and found ourselves an amazing sundown with warm weather, and spent a ton of time being captivated by some skateboarding -- perfect for testing out those shutter speeds in low light. Can't wait for the next meet-up! Stay tuned for a date in July. Follow @PortraitMeet on Instagram for more info. 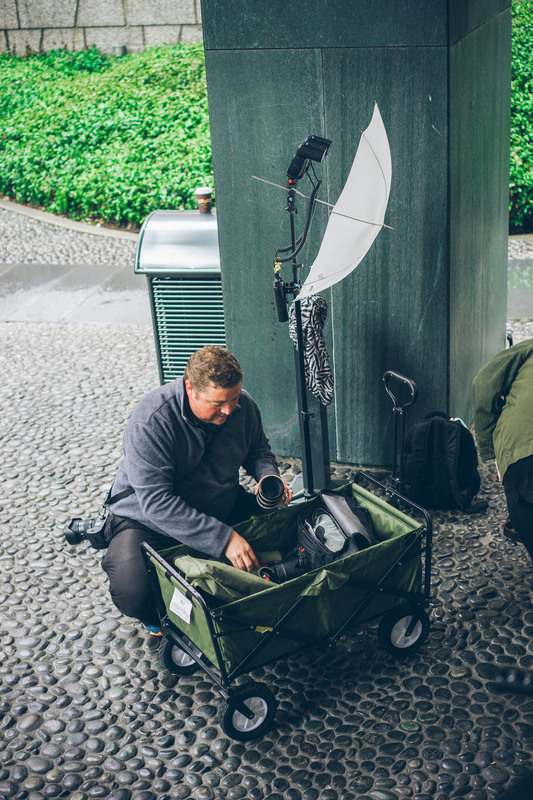 San Francisco Portrait Meet Recap: FiDi & SoMa in the Rain! The next official San Francisco Portrait Meet is on June 3, 2016 at 7pm at Dolores Park. Photographers & models of all experience levels are welcome to join us in a collaborative night-portrait experience. Follow #SFPortraitMeet and @PortraitMeet on Instagram for more info! Our last SF Portrait Meet was incredible (even with the pouring rain). 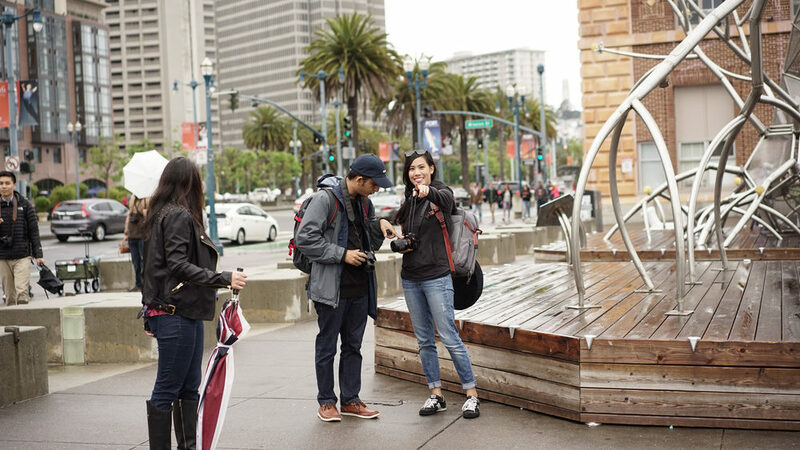 We had a variety of cameras for both DSLR and mobile photography and it was nice being surrounded with like-minded creatives from around the Bay Area! The flagship Portrait Meet group in Boston had their own session and we were able to connect via video chat. Check out the video here by Can Ahtam. Here are some of our favorite shots from the San Francisco group. See you all on Friday, June 3 to do it again at night! Clearly he means business. 😀 It was nice meeting you today at #SFportraitmeet, @danielmcelmury! It's easier than you think to make better portraits. Since dedicating my life to photography full time over this past year, I've learned a few simple tricks that I'm excited to pass on in a series of community workshops via meetups. Founded by Can Ahtam, PortraitMeet organizes local meetups in partnership with IgersSF for networking and skill sharing. Under encouragement from the Boston PortraitMeet community (hey Steve and Rasvan! ), I'm hosting one of my own in San Francisco's Financial District and SoMa areas this Saturday 5/7 at 11am. Come one, come all, and follow along using the hashtag #SFPortraitMeet. We will meet at One Sansome for introductions at 11am and move on by foot through FiDi and SoMa. Some background: A long time ago, there was a little company with a little app called Instagram, and so far, the community has stood the test of time since I hosted a video review of the early app at Revision3 on a show called AppJudgment over SIX YEARS AGO. Before moving into the world of pro portrait photography, I casually enjoyed snapping photos of my friends (and dog) with my phone. Both mobile cameras and DSLR cameras have come a long way, and this has been a catalyst to increasing the quality of photos. The community has skyrocketed, and it's been amazing. I'm seeing a trend of everyday users putting more effort into making their photos sharp and vibrant with several easy tricks, whether they're using a mobile app like VSCO cam, a desktop app like Lightroom, or boosting light during the shoot. The results are gorgeous, and the community wants more. Meetups in nature are casual and fun. You're surrounded by people of all skill levels who have the same interest of creating better photos. No matter what age you are, or what formal education you've had, I'm a big believer that you can learn by doing... andd it's real hard to practice photography alone. Models and photographers converge on spontaneous, creative ideas, and in the end, everyone has new pieces for their portfolios. Come ready with a goal or a topic you want to learn more about. Last time, I gave photography demos on utilizing natural light reflectors, how to shoot during harsh mid-day conditions, how to position flash for a basic portrait, and when you should diffuse your light. Models might want to wear a specific theme of clothing or practice dance or athletic poses. You can bet you'll have the opportunity to practice and learn. Photo above by Tiffany Ho. I demoed a pocket sized reflector with Albert Chen. Here are more of my photos from the last #WWIM (Worldwide Instagram Meet) hosted by Kim Alvarez in San Francisco's Dogpatch neighborhood. I, myself am still learning new photography tricks every day -- I look forward to meeting you! Here are some of my favorite images tagged #SFPortraitMeet from the very first San Francisco gathering hosted by Steve Nisotel. This was the general goofiness of the #sfportraitmeet. Friends can be tripods, too... #igerssf #pier5 #sanfrancisco #portraitmeet Guys, send me your @, I missed them!